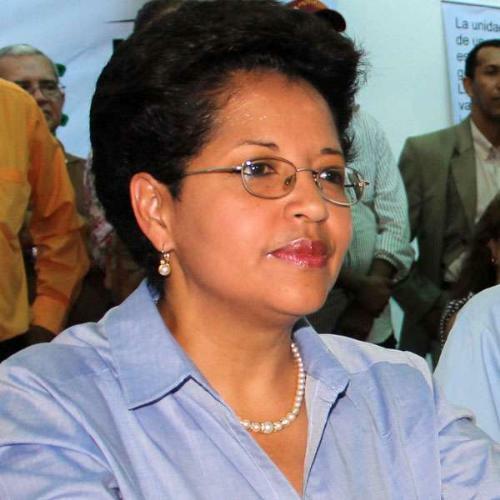 Soraya Hernández, the MUD candidate for Monagas so far. But she has admitted that could change soon. The final list of candidates for the December 16th regional elections, where we will elect Governors and State legislatures, is out. Even though Chavismo and the MUD are united in most states, both sides face splits in some important races. For the opposition, the biggest concerns right now are the races in Táchira and Monagas. In the Andean state of Táchira, incumbent governor César Pérez Vivas was chosen earlier by consensus, avoiding a primary there. But the former mayor of San Cristóbal (the state’s capital and largest city) William Méndez, previously barred from running, decided then to run alone, without the backing of his party UNT. His wife is the current mayor of San Cristóbal. In spite of the spat, it looks like a possible solution was found to end the stalemate: both candidates have apparently accepted to do a special poll (which was proposed by Méndez) that will decide who will be the MUD candidate. The case of Monagas is more complicated. As Soraya Hernández won the 12-F primary, the Guarapiche oil spill created an eviromental crisis with strong political implications. After weeks of tensions, Chavista governor Jose Gregorio Briceño (aka “the cat”) broke with the PSUV. Months later, “El Gato” embraced the opposition and endorsed Henrique Capriles for the presidential election. The MUD is still backing primary winner Soraya Hernández, but she hinted that she would step aside if she’s asked. The story is still unfolding, so stay tuned. Meanwhile at the Gran Polo Patriotico, the PCV isn’t the only party with its own set of candidates. The People’s Electoral Movement (a small party formed after AD split in the late sixties) is running solo in Anzoátegui and Apure. They’re also involved with the PCV and Tupamaros in supporting Florencio Porras in Merida, providing the MUD with a big opportunity to win there, in spite of the poor candidate the MUD is fielding. The Tupamaros are making their own stand in Trujillo against incumbent governor Hugo Cabezas. Even the “expropiated” PPT is making noise about the lack of recognition from the PSUV’s leadership, related to the lists of candidates for Legislative Councils. A GPP meeting is expected this week to try reaching a political settlement. We’ll see if white (red?) smoke appears.